If you had 3 wishes, what would they be? One of your wishes may just come true in Crazy Genie. Rubbing the magical golden lamp will make the wish-granting genie appear. 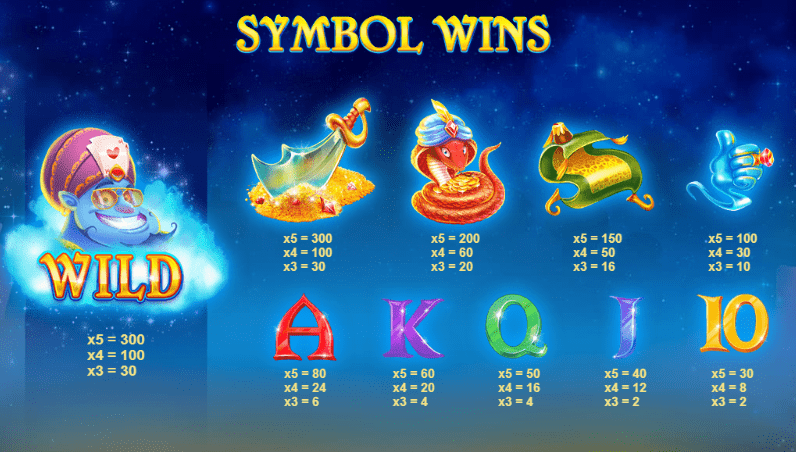 This mystical play slots game is designed by Red Tiger Gaming and has 5 reels and 20 paylines. The design is fun, has beautiful 3D animations and has that magical sparkle. To add to the gaming experience, an Arabian style soundtrack can be heard whilst you play. There are 5 fun bonus games on offer which means you have the chance to win some great golden prizes. Bonus games include Lamp Bonus and Treasure Bonus. Crazy Genie is based on the popular story of Aladdin. Rubbing the golden lamp will set the genie free and you will be granted 3 wishes. Be careful what you wish for! This slot has 5 reels and 20 paylines and has stunning visuals as well as Arabian style audio. The reels are placed inside a beautiful marquee laden with flowing blue silk in the city of Agrabah. You can also see the golden lamp and the infamous flying carpet on either side. The symbols include colourful playing card suits, a snake, a flying carpet, a golden lamp, some treasure and the blue genie. Hold on to your wishes as you play the best online slots! Crazy Coins - The genie can escape from his lamp at any time during the game so that your wishes can be granted. He'll swirl across the screen and drop coins everywhere to grant your wish of fortune. Wheel of Bonuses - Landing 3 bonus symbols on the middle reels will activate the wheel of bonuses. The genie will spin the wheel and will land on bonus rounds randomly. Oasis Bonus - During the oasis bonus, you'll have to hit the pinata lamp to get a multiplier of up to 100x. Lamp Bonus - Rather than hitting the golden lamp, during the lamp bonus you'll rub the lamp. Rub the lamp as fast as you can to get a higher multiplier. A multiplier of up to 200x can be awarded here. Treasure Bonus - In this game, you'll be shown various treasures. Pick one to win a multiplier of up to 258x. Gold Bonus - During the gold bonus, you'll gain a random number of spins. 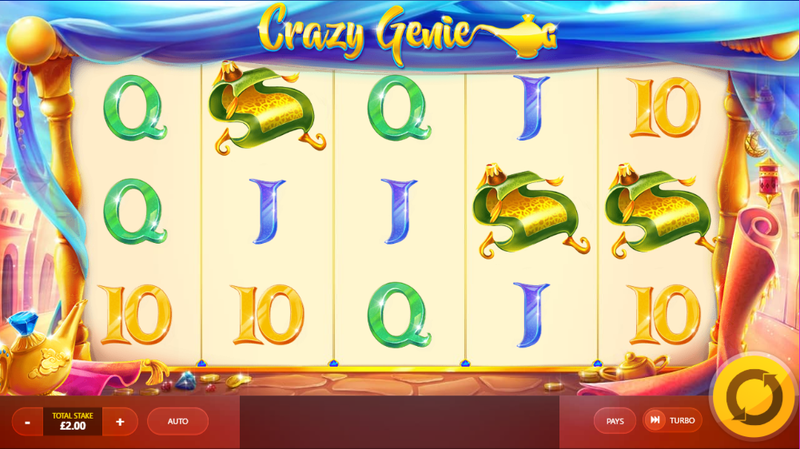 The genie will throw some coins onto the reels which will unveil a multiplier of up to 1068x. Gift Bonus - In the gift bonus, you'll be shown a pile of golden coins. Choose one to reveal a multiplier of up to 1179x.